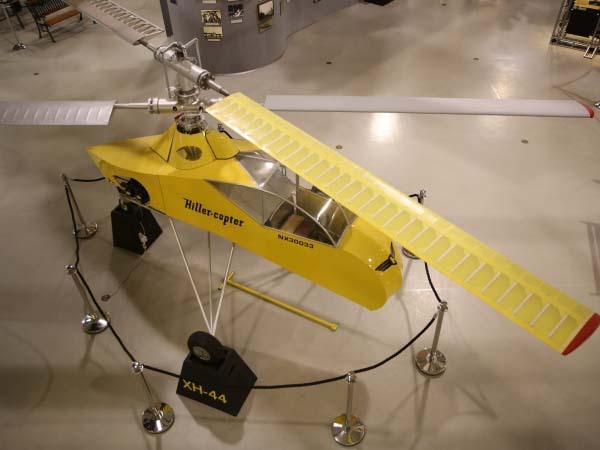 The Hiller XH-44 was donated to the Smithsonian Institution and had been on public display at the National Air and Space Museum for over 25 years. 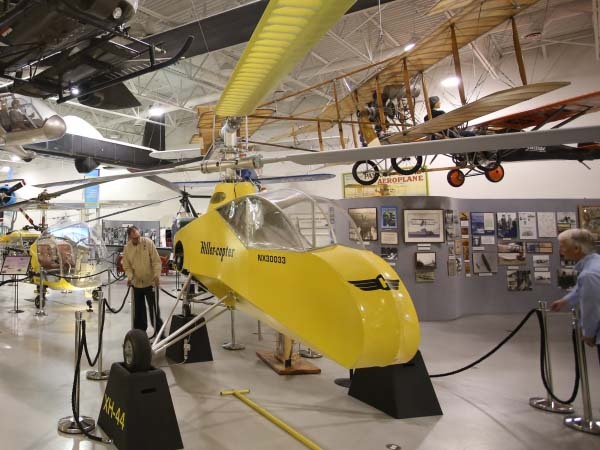 The XH-44 was designed and built by 18-year-old entrepreneur, Stanley Hiller, Jr. and his team in a small automotive garage in Oakland, California. 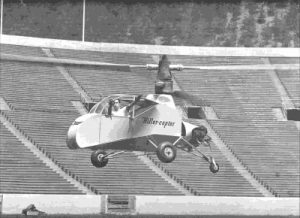 On July 4, 1944 after several engineering setbacks and teaching himself to fly, Mr. Hiller flew the “Hiller-copter,” as it was called for the first time. The flight took place inside the Memorial Stadium on the Berkeley Campus of the University of California. The XH-44 achieved many firsts. It was the first successful coaxial rotor helicopter to fly in America, the first to use all metal rotor blades and the first helicopter to be built on the west coast. The coaxial rotor system has two sets of rotor blades – one mounted over the other and turning in opposite directions. This unique design was chosen by Mr. Hiller to eliminate the need for an anti-torque tail rotor which can use as much as 10% of the power from the engine. Mr. Hiller felt the added power to the lifting rotors was a better design idea. The second public demonstration was held in San Francisco on August 30, 1944 at the Marina Green near the bay. Hundreds of spectators, including government dignitaries and military observers, witnessed this historic event. They were impressed watching the XH-44 hover, fly vertically and fly sideways mimicking the hummingbird’s flight. The successful XH-44 led to the development of many other Hiller helicopter designs.